Today’s guest post comes from Holly Hyams and Jade Montserrat from Scarborough Museums Trust, who explain how they created a ‘museum of the night’ experience in two venues – including an art boxing match! Scarborough Museums Trust comprises two very different cultural venues in Scarborough: the Rotunda Museum – the William Smith Museum of Geology, and Scarborough Art Gallery, both housed in impressive 19th century buildings. 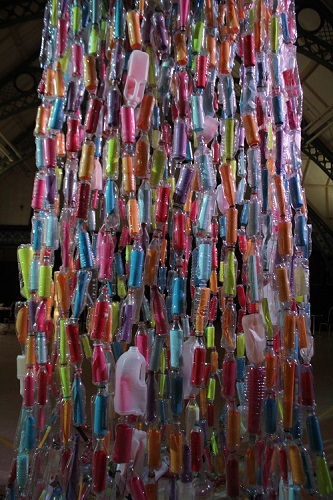 Inspired by the desire to forge links between the worlds of geology and art, we applied for Museums at Night’s Connect10 competition, hoping to win artist Julia Vogl to create a large scale geological map at the Rotunda Museum. Though we narrowly lost out to Newcastle’s mighty Discovery Museum, taking part in the competition was a fantastically rewarding experience. With the votes pouring in, it was incredibly encouraging to perceive the public’s support for our idea, whilst the competitive element helped create a real buzz amongst our staff. Having come second in the voting, we were determined not to let our supporters down and decided to stage alternative events both at the Rotunda Museum and Scarborough Art Gallery. 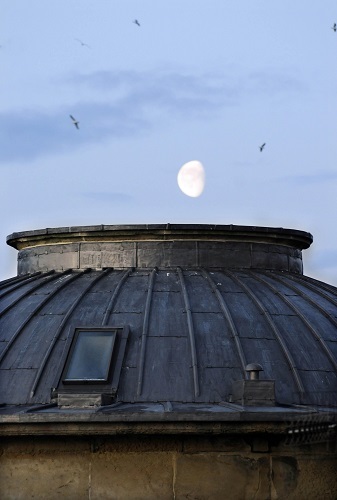 At the Rotunda, we took Museums at Night back to basics by creating a museum ‘of the night’. 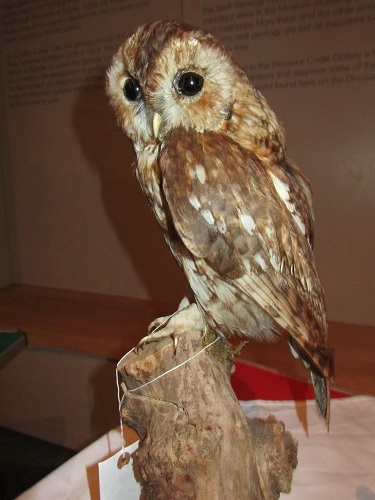 Museums have a unique atmosphere after hours, and we capitalised on this by displaying a selection of unexpected objects from our collections which wouldn’t usually be exhibited at the Rotunda. 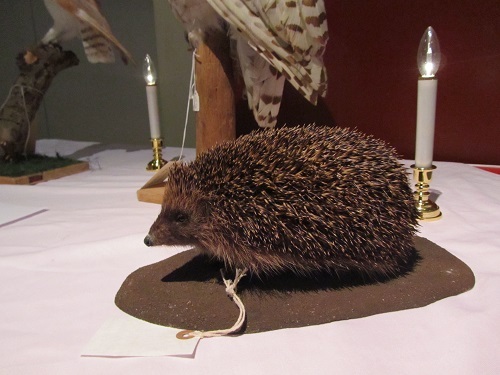 For one night only, taxidermy creatures of the night – owls, foxes, badgers, and hedgehogs – jostled with Victorian night-dresses, whale-oil lamps and candle-snuffers. The mood was enhanced through low-level lighting and the use of battery-operated candles which flickered eerily amongst the displays. The concept was simple but effective: visitors enjoyed the thrill of the strange atmosphere and having access to the Scarborough Collections – the name given to all the objects acquired by the Borough over the years and cared for by the Trust on behalf of the town. 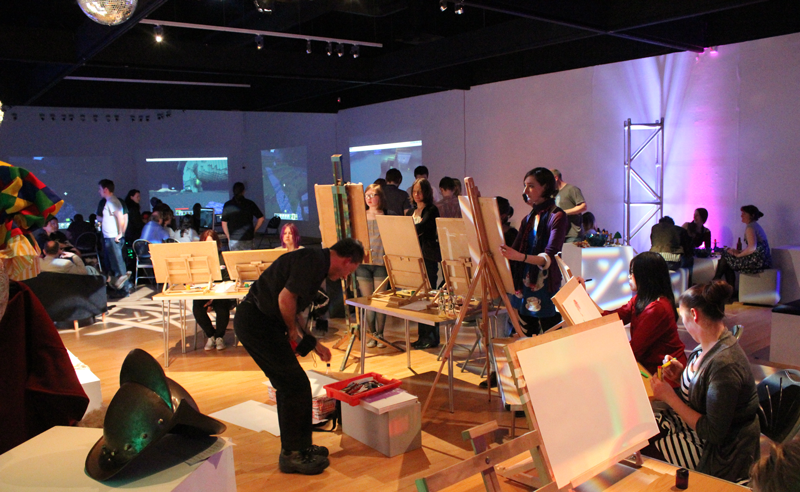 At the Art Gallery, we again took advantage of the late night opening in order to offer visitors something different. Collaborating with Crescent Arts, a visual arts collective which supports emerging contemporary artists, we decided to host an evening of poetry and performance featuring local poet Jo Reed, Future Shorts films and an art book exchange, with events happening simultaneously at both venues (Crescent Arts being located conveniently within the basement area of Scarborough Art Gallery). Thanks to the creative genius of Stuart Cameron, Director of Crescent Arts, the concept of the Big Art KO Boxing Match was born. A tongue-in-cheek performance, the boxing match involved staff members from the two organisations donning costumes and metaphorically ‘slugging it out’ in a makeshift boxing ring, whilst answering questions on art trivia. 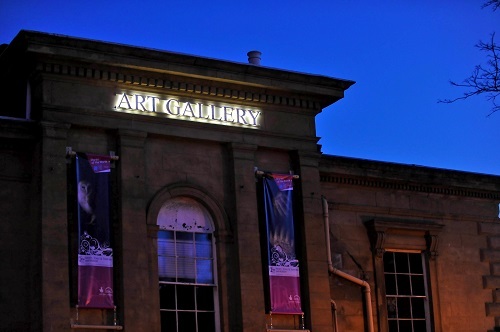 Light-heartedly embodying the age-old dispute between realist and conceptualist art, a pretend tryst between Scarborough Art Gallery and Crescent Arts was a novel way of celebrating our collaboration on the night, and one which certainly got the public talking! 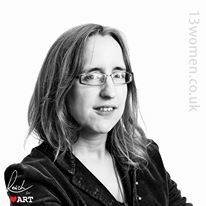 Jade Montserrat is currently a resident artist at Crescent Arts, Scarborough and works as Learning Assistant for Scarborough Museums Trust. She read for a History of Art BA at the Courtauld Institute of Art, followed by an MA in Drawing at Norwich University College of Arts. Holly Hyams has worked and volunteered at a number of museums in London and Yorkshire, including the Museum of Brands, Packaging and Advertising, the Captain Cook Memorial Museum, Whitby Museum and York Castle Museum. She loves living on the North Yorkshire Coast and is currently Learning Manager at Scarborough Museums Trust. If you’re reading this and would like to write a guest post for the arts and heritage sector about any aspect of event programming, audience development or marketing, please email rosie@culture24.org.uk. 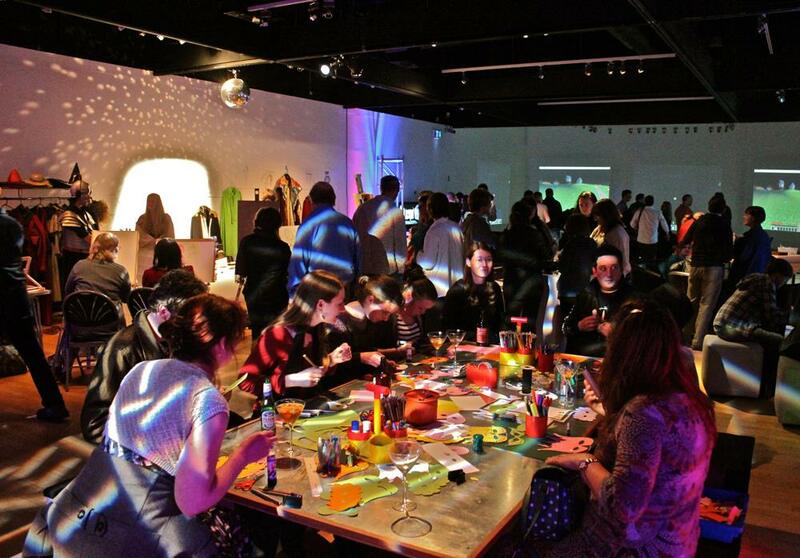 We’re loving finding out more about how Museums at Night 2013 went for all the participating venues, visitors and participating artists, and we’re currently looking at responses to our venue and visitor surveys. Here’s some of the feedback we’ve received. It’s brilliant how everyone has come together on this from an initial idea. Most of the boxing club have never visited us before or are even interested in art and none of us knew much about boxing rings but are now learning fast as well as the history of disco lighting. It’s a bizarre collision of worlds! The crashed cars are still happening as well and will be a nice statement piece before you enter the building. And these are some of the most extraordinary risk assessments I’ve ever done. This is a great photo story from the British Postal Heritage Museum Store. 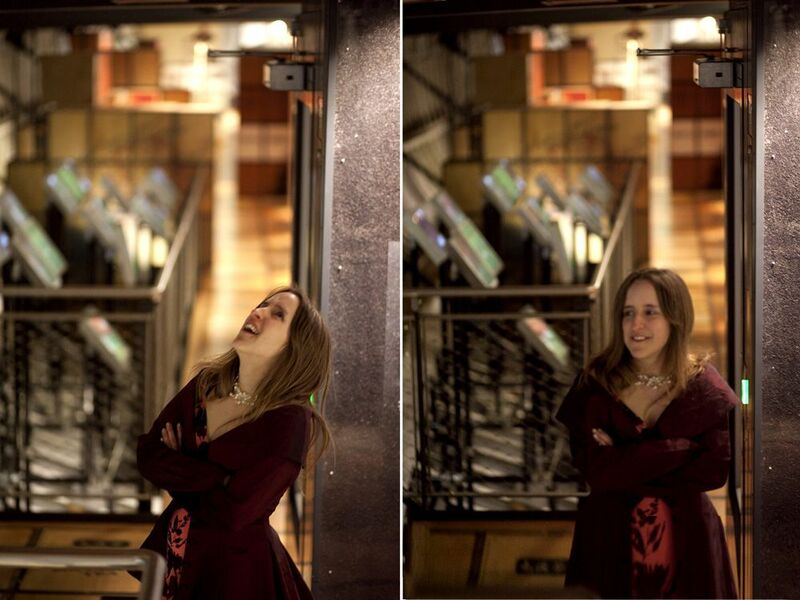 Blogger Crumbolina had never managed to visit Bristol’s SS Great Britain before … until their Museums at Night event. The Beast in the Cellar: Benjamin D. Brooks shares the talk he gave about paleontologist Mary Anning at Lyme Regis Museum’s after-hours event. We were really thrilled with the response from visitors. Even when a piece wasn’t to their taste, it sparked comment and conversation. A number of visitors said the new look to galleries made them look at the collections in a different and more focussed way and caused them to notice objects they hadn’t seen before. Emily Beeson, Culture24 intern and editor of Young Gold Teeth, wrote about getting hands-on making her own artworks as part of the National Portrait Gallery‘s Edgar Heap of Birds Museums at Night late opening. Blogger Sarah gave 10/10 to the experience of watching ‘Goodbye Lenin‘ in the unusual setting of York’s Cold War Bunker. If you have photos or stories to share from a Museums at Night event, please send them across to rosie@culture24.org.uk. Six months have passed in the blink of an eye, and I’m on hold waiting to talk to a museum about how their Museums at Night event went. The hold music is Für Elise played on a glockenspiel, which sounds as if somebody on the reception desk is putting on a little music session in a quiet moment. 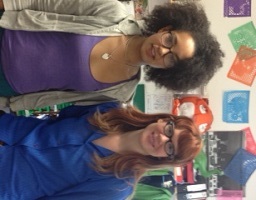 I’m using the time to think back over my internship with Culture24, which has gone so quickly it makes my head spin. It’s quite hard to remember the day I walked in as a new intern in January. At that point the Museums at Night festival seemed so far away it looked unlikely to ever arrive, like a Dorset steam engine, or a conclusion in a George R.R. Martin novel. On my first day I was sat at a desk and given a list of the phone numbers of all the museums and galleries in the known world (or at least the parts of it attached to and floating around the UK). This was wonderful, as I had the opportunity to say hello to lots of people in a great number of organisations who were getting excited about Museums at Night. People getting excited about things happening in arts and heritage sites is exactly what made me want to work in events in the first place – so calling several hundred people who feel exactly the same way was a wonderful way to get my internship rolling. I really enjoyed helping with the Connect10 competition, and hearing all of the imaginative ideas that the artists – and the venues hoping to win them – had proposed. It was brilliant to be on the scene when we found out that we would indeed be sailing aboard the Cutty Sark for the Museums at Night launch. There may be better places to hold a launch than a 19th century tea clipper but I can’t think of one. There may also be funnier sights than seeing the staff of Culture24 dressed in witches’ noses and encouraged to pursue “poor Tam” to his doom around the figureheads, but again, nothing springs to mind… In all seriousness, though, this was a great education in event planning and I learned a great deal about the work and negotiation that goes on behind the scenes. When the Museums at Night festival finally arrived, everybody seemed to be in about ten places at once. Members of the Culture24 team would stumble into the office each morning of the Museums at Night festival weekend with an improbable, distracted air muttering about pipistrelles, 18th century murders, cocktails, sculptures made out of plastic bottles, and taxidermy alpacas. I manned the phoneline at Museums at Night HQ for one of the big days, which was slightly nerve-wracking. I loved the festival events I attended: I walked with bats at Hatchlands Park and then raced up to London for an Elemental Treasure Hunt. It has been a great six months and it’s only really in retrospect that I’ve realised how many people I’ve had the chance to meet and talk with along the way who were working in museums, galleries and heritage sites. I’ve attended a National Trust conference; been up to my elbows in Twitter; partied on a tea clipper; been swept upon by bats and conversed silently with a jar of moles at the Grants Museum. I have also learned a great deal along the way about the arts and heritage scene across the country, digital and social media marketing, event administration and the work involved in promoting and putting together an amazing event. Amy Strike has an MA in English Literature from Sussex University. She is a professional artist and has a strong interest in museums and galleries. She plans to pursue a career in arts administration while continuing to make her own art work which can be seen on her website, www.amystrike.com. Find out more about Amy through her LinkedIn profile. Our latest guest post comes from Adam Clarke, freelance artist, film maker and games-for-learning consultant. Adam describes how he got involved in the Tullie House Art Gallery Takeover, and the part Minecraft has to play in engaging new audiences with heritage and history. I had the opportunity to get involved in the Tullie House Art Gallery Takeover/Museums At Night project after I talked with the team about Minecraft and how it can be used to create engaging heritage and historical narratives. Excited by the possibilities this opened up, I was invited to work with the project team to create the event. Together, we set about filling the gallery space in a way that had never happened before. Using six massive interactive projections from the video game Minecraft featuring my topographical Cumbrian landscape, including a partially constructed Hadrian’s Wall, we gave people the opportunity to visit an online Minecraft world and play live with other people from around the world. The museum archaeologist showed Roman artifacts not usually on display, giving people a chance to discover them in a new and intimate way. He also took time during the evening to build a Roman Fort and parts of Hadrian’s Wall in Minecraft with guests. We had exclusive access to the Voxelbox server, possibly the best Minecraft creators on the planet. We were joined in person by Stephen Reid from A Higher Place, who talked about games-based learning. We placed large glass bowls of Lego on plinths to play with, there were tables with paper-craft activities to engage in and even historical costumes for participants to get creative with dressing up and drawing. To set the ambience, there was a DJ filling the space with live mixing, and a bar. Big screens, paper-craft, glitter, Lego, colourful lights, music, artifacts, archaeology and amazing creators all got to work to turn the museum into something truly magical, but perhaps the most magical element of all were the people who came along and completed that transformation. People from all walks of life came together – all different ages, with different backgrounds and involvement with museums, technology, games and creative arts, including the curious few who wanted to find out what on earth it was all about – and everyone got involved. I saw people making, engaging, discovering, playing, sharing ideas and conversations, hatching plans, re-imagining familiar landscapes and finding their way around completely new spaces. Everyone was having a go, and having fun. 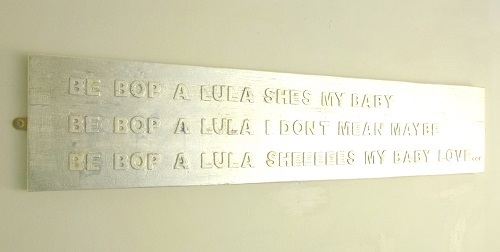 I am currently developing projects using 3D printed artworks in public spaces, with a special interest in museums. Museums are traditionally about housing the intimate objects of the past. When we visit a museum, we engage in a dialogue with these objects and the people who once made them, used them or collected them. By making 3D printing accessible, museums can open up that dialogue in ways that empower the individual and community to create their own objects, their own living history and dialogues with the present, the past and the future. 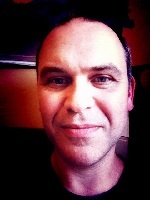 Adam Clarke is a freelance artist, film-maker and games-for-learning consultant and instructor. 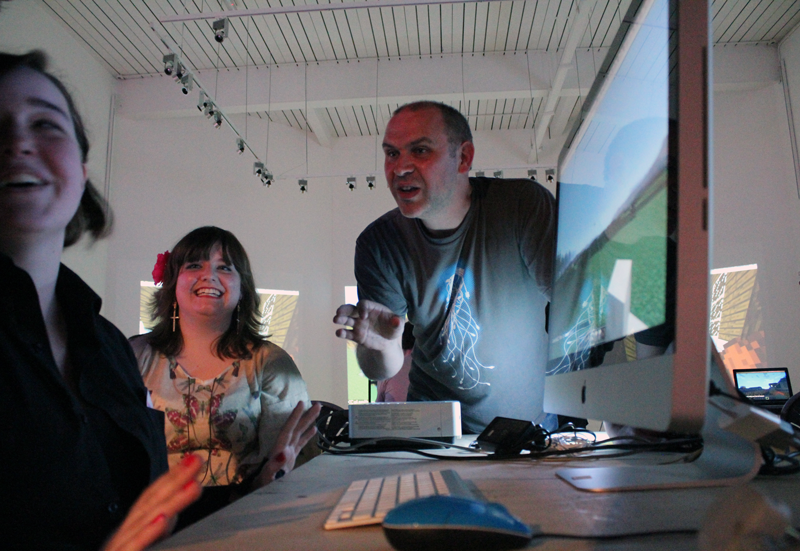 He has many years experience in running creative workshops for schools, museums, hospitals and within community settings, often pulling together his skills from traditional arts, digital animation/film and virtual simulations/games to deliver fun and participant led work. His is passionate about the environment, history, community participation, video games and new technology. Thanks Adam! If you’d like to write a guest post or case study for this blog about any aspect of event planning or marketing in arts or heritage venues, please drop me a line at rosie@culture24.org.uk or call me on 01273 623336. 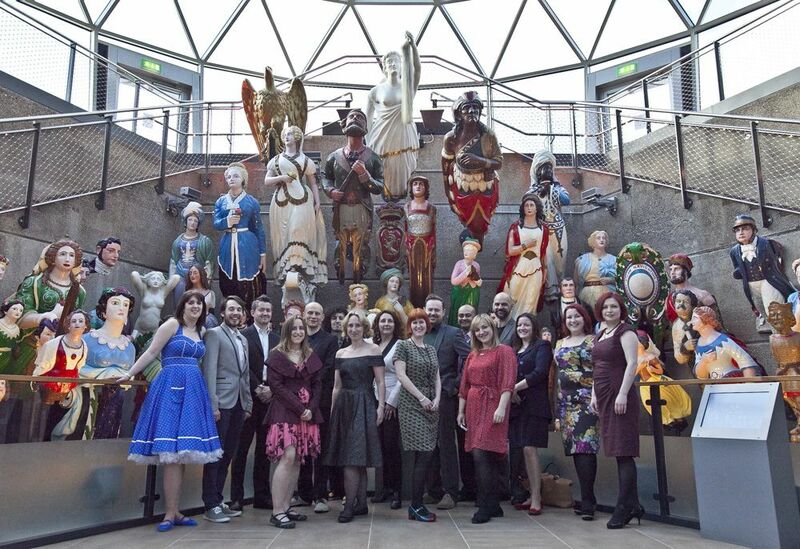 The Culture24 team at the Museums at Night 2013 launch party on the Cutty Sark – Holly’s on the left in the blue dress. Photo courtesy Aniko Boholy. Wow! Six months have gone by so quickly. It feels like only yesterday that I walked in, an innocent and nervous intern on her first day. So much has changed: I now leave Culture24 with greater work experience and the essential, elusive office experience so many jobs require. But what exactly have I learnt? Firstly, I really appreciated the opportunity to work in an office: something I have never done before, yet some of the jobs I was applying for required office experience. Having spent time in this busy environment with my lovely and slightly alternative Culture24 colleagues, I now feel I could work in any office. From looking up event details and talking to museum staff on the phone and over email, I’ve also learnt a lot about museums across the UK. On my first day I was given the task of calling museums to promote the Connect10 competition, and spoke to museum staff in Scotland, Ireland, Wales and England. Not only did the change of accents disorientate me but it was just immense to be talking to people across the country. Those of you who spoke to me on the phone that day may have noticed how nervous I was – it’s amazing how this does not affect me as much any more, and it now seems natural to pick up the phone for a lovely chat with museum staff from the far reaches of the country. Part of my work here has involved using some computer programs which I’d never heard of before, let alone used. Beyond Excel (which I now feel I should have a degree in) I have learnt to use the Highrise customer relationship management system, Wufoo to retrieve competition submissions, and Culture24’s Direct Data Entry system to work on event listings. My social networking skills have also been put to use, using Twitter to promote festival events, Storify to track conversations about Museums at Night and WordPress to publish blog posts. The key thing I have learnt is about the importance of marketing. Through working with thousands of photos, I now understand the types of images that are best for museum publicity. I have also improved my communication skills by writing blog posts and tweets. Overall my time with Culture24 has been brilliant: I’ve met some lovely people; learnt lots of transferable skills which I can apply to future jobs; and most importantly I now know about an unbelievable number of UK arts and heritage organisations, which will make me invaluable at any museums pub quiz. 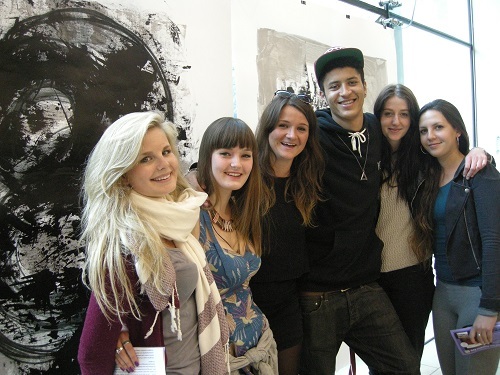 Holly Parsons studied History and Politics followed by Heritage and Museum Studies at the University of Portsmouth. She lives in Brighton and has a keen interest in museums, volunteering in several and visiting as many as she can. 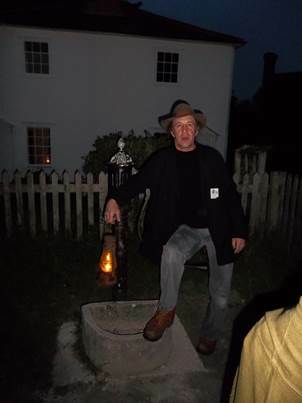 This year’s Museums at Night was special for the Weald and Downland Open Air Museum as it was their first time participating in the festival. Museums at Night intern Holly Parsons went along on the Saturday night to discover more. Looking across a field towards some of Weald & Downland Museum’s buildings at dusk. All photos courtesy Holly Parsons. 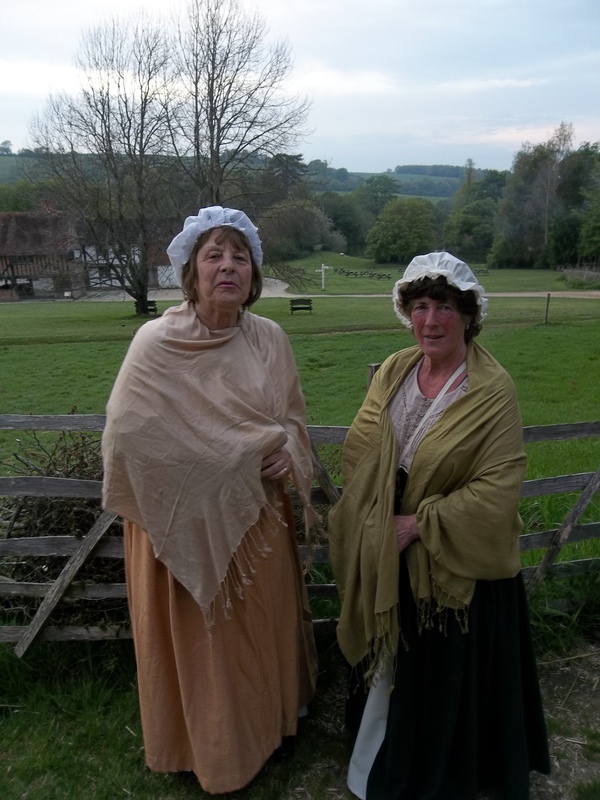 The Weald and Downland Museum promised an evening that would explain how people who lived in their collection of historic buildings would have experienced the hours of dusk and darkness in the past – and the event did not disappoint! The night began in the museum’s newly-thatched barn, where around 70 visitors meet and were split into groups of around 15 for the tour. Each tour group set off from a different starting location so that tours wouldn’t clash, and progressed around the site exploring six different traditional houses and various other stopping points. Each building was lit as it would have been traditionally, with fires and candle light. Poplar Cottage is a rescued building from around 1630, which was built without a chimney. Its fire pit had very little ventilation, making the tiny two-room cottage very smoky inside: although this created an authentic atmosphere, it became uncomfortable to stay in the room as smoke got in our eyes! The tour progressed onwards to take in a shepherd’s caravan, cottages and barns. As the evening progressed and darkness fell, the reality of night-time in the past took hold … especially as we walked through the woodland and learned about the man trap, which would have been used to catch poachers on the estates. The tour guide was very knowledgeable and knew vast amounts of information not only about the buildings and the people who lived in them, but also about the historical background of the period. The weather also really helped to establish the atmosphere: there was a chill in the air but it wasn’t too cold, and we were kept warm by the fires in the buildings and walking between the locations. The night was clear, with some natural moonlight, so although we used torches they weren’t essential. This gave us the chance to see some of the wildlife on site, including bats and owls. Some of the visitors were dressed for the occasion. 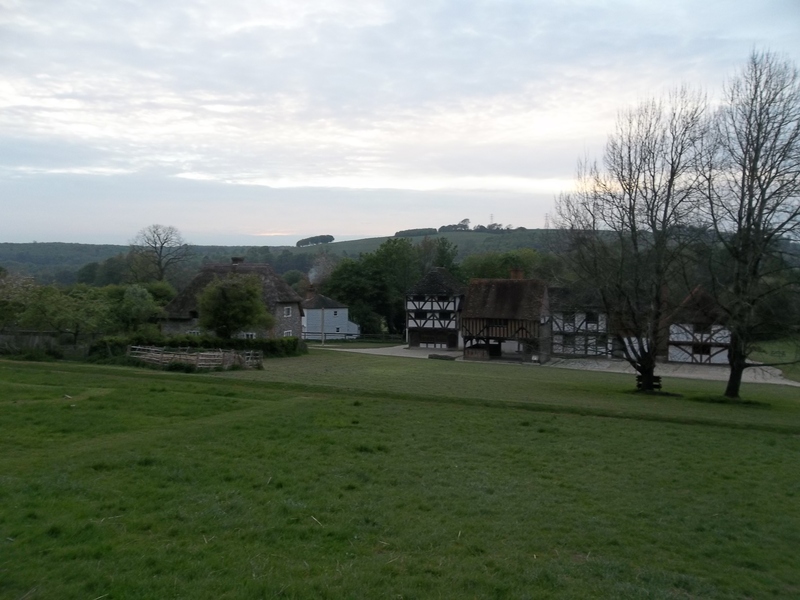 Overall, the night was a great success and the Weald and Downland Museum is worth a visit during the day or night! 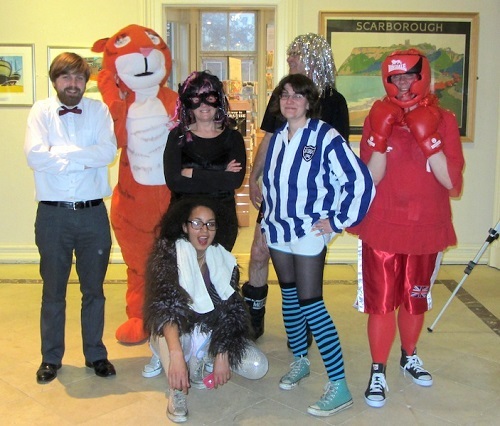 It’s Elemental: Team Culture24 take on the UCL Museums at Night treasure hunt! The Museums at Night Festival was in to its second day. The staff at Culture24 had taken on bats, community sculpture and cocktails. Representing Culture24, Jack, Holly and Amy were preparing for the real challenge; attempting to win the UCL Museum treasure hunt. The event started at 6:30 in a small lecture theatre, taking our three treasure seekers back to their University days. The winners of this year’s event would be rewarded with the prize of £40 in Foyle’s vouchers; a great way to encourage eager museum book worms and bring out a competitive spirit. 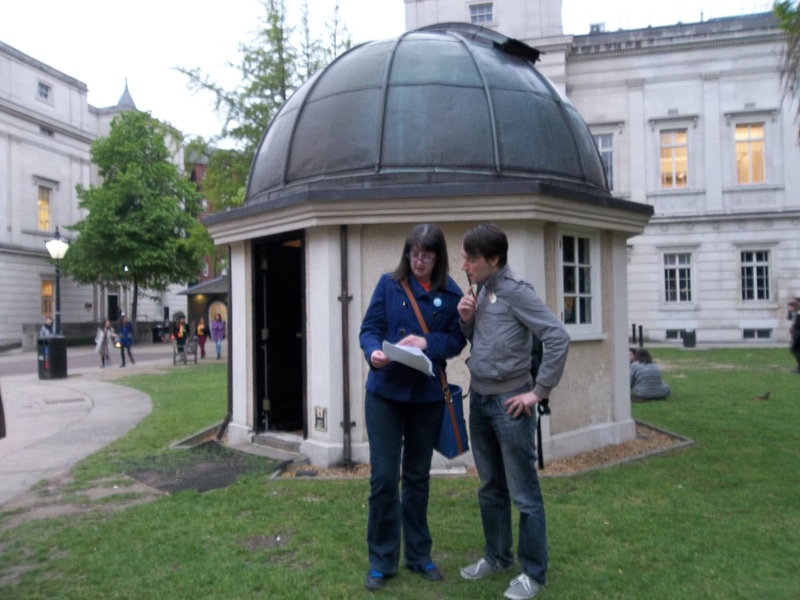 The task was simple; the C24 team had to race around the four UCL Museums, seeking the answers to clues. Ultimately, the answers would give them an anagram and a set of numbers. Once they solved the word puzzle, they would have a phone number, which once rung, would win them the treasure hunt. C24 team started on their travels round the four museums trying to solve the clues at each site. When they came to the Petrie Museum they found the clues notably harder. The difficulty was increased by the fact that there were several red herrings. Everyone had been instructed to report to the Grant Museum promptly at 8pm for the final part of the hunt. The room was packed with teams attempting to work out the anagram, gesturing wildly at the taxidermy with their pencils. “Treasure map! Tyrannosaurus!” Amy squeaked excitedly, causing a slight tremor in the bat skeleton behind them. From over the crowd, a wine glass shattered, and one of the museum staff jumped. “I hope that was a glass and not a jar of…anything” she said, gaily. Suddenly, from behind the ape skeletons leaned insouciantly on the upper railing a phone rang out. Despite their valiant efforts to get all the clues right, C24 had been narrowly beaten by another team. But they all agreed over a lovely glass of Zoology Museum wine that they had thoroughly enjoyed themselves.